When looking for jobs, people normally tend to gravitate towards those that can have a positive impact on their lives, especially the ones that offer a good work-life balance, career growth and employment security. In order to find out which professions offer the most cash in the UAE, Gulf News has crunched the latest salary figures compiled recently by the recruitment specialists at Hays. The data that Hays provided was based on a survey of more than 4,000 working professionals in the UAE. And the salary figures apply to various fields, from accounting and finance, construction and engineering to human resources, office support and information and technology. 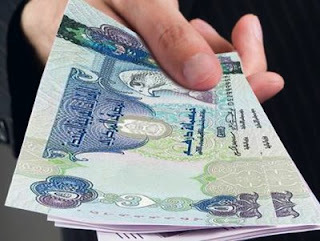 As can be expected, professionals that hold the highest positions, including chief executive officers and chief financial officers, bag the highest income, with a lucky few of them earning up to a whopping Dh200,000 a month. Based on median salaries, however, sales professionals landed the top spot, followed by those who handle managerial roles in construction sites, including project managers, surveyors and facilities supervisors. Lawyers claimed the third-biggest pay, closely followed by employees in the supply chain and accounting and finance fields. At the bottom of the scale are office support professionals, which include receptionists, customer service staff, personal assistants, office managers and administrators. Bear in mind, however, that the figures were culled from the information supplied by the respondents in Hays’ survey, and non-skilled workers, including janitors and cleaners, were not covered so actual salaries and rankings may vary.